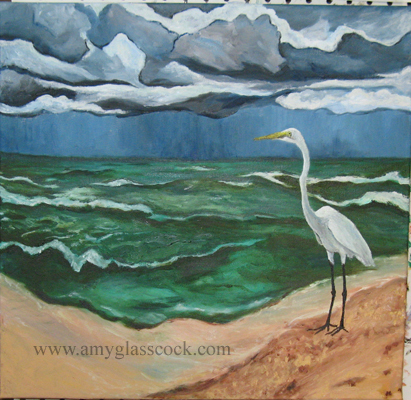 Next I will be making another Florida painting... stay tuned! 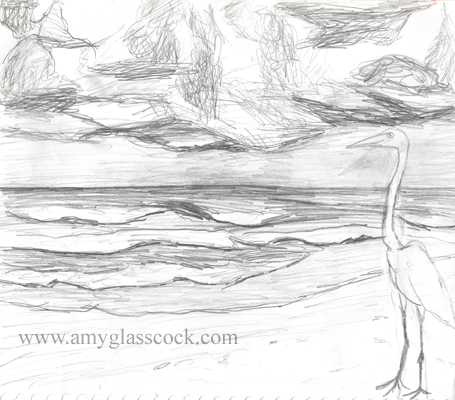 This is my quick sketch. OOPS! I forgot to take a photo. Today I added to the sky. 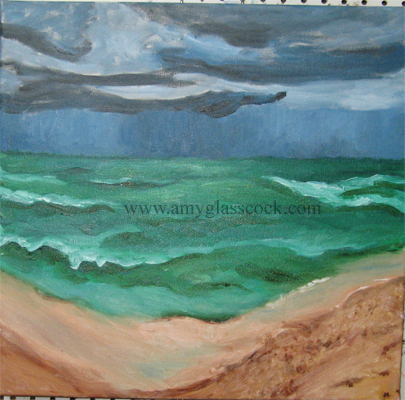 Today I added some lighter tones to the water and to the sand. 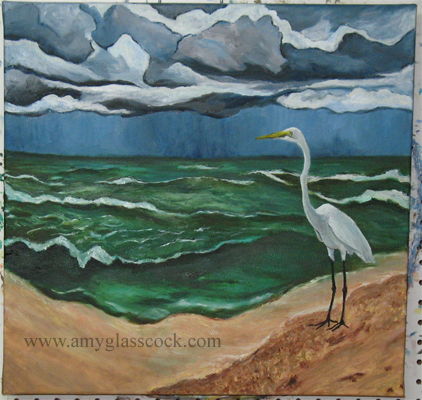 Today I added some more white to the clouds and I added some dark brownish green to the water. I also painted the bird. Today I added some light grayish browns to the sand on the left and also some more brown tones to the right side where all the shells are piled up. 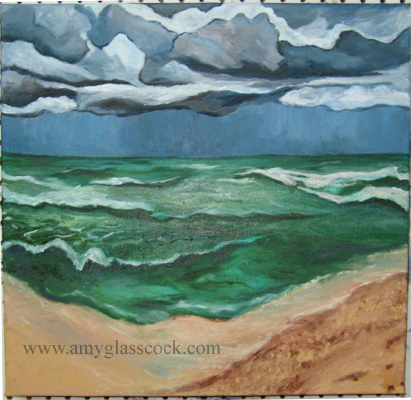 I also added some white to the water and some darker green to the water in the foreground. 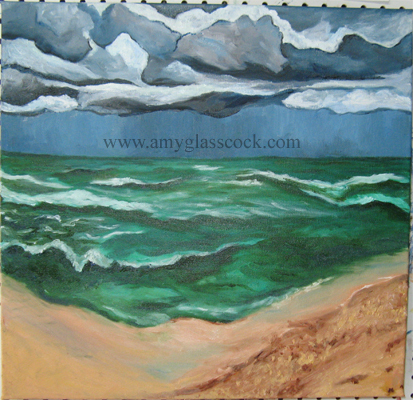 And I added some dark blue/brown to a few of the clouds in the sky.